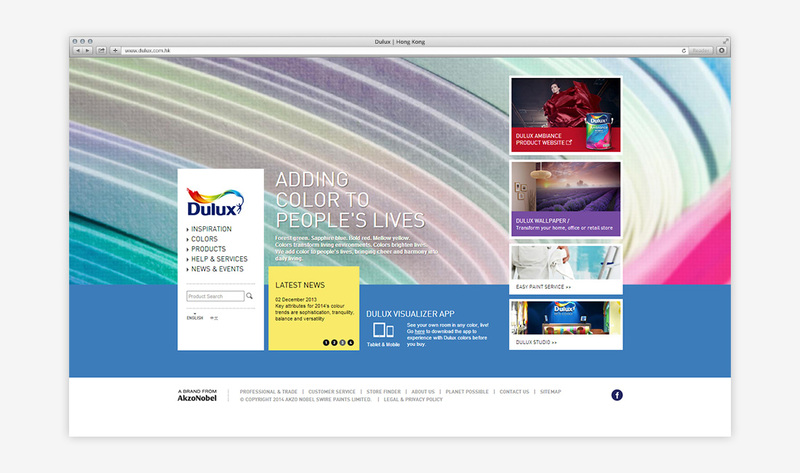 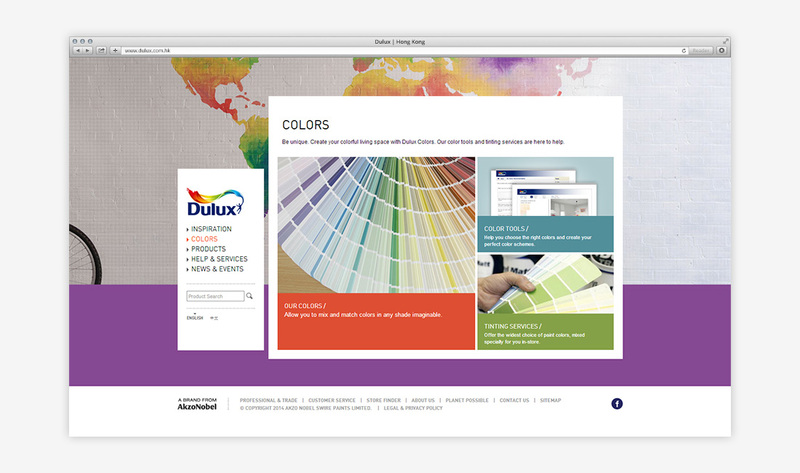 Dulux, the best-known international brand of paint produced by AkzoNobel, is one of the first producers of alkyd-based paints and is made in 26 countries across four continents including Europe, North America, Latin America and Asia. 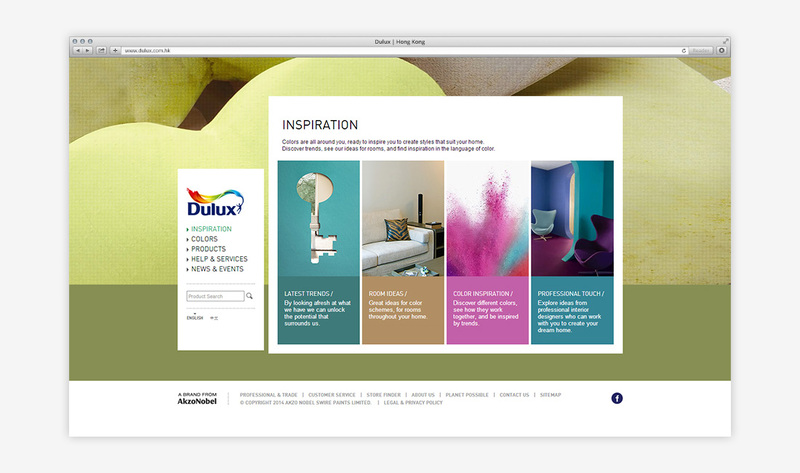 We have a long-term relationship with Dulux; our partnership has lasted for many years and we continue to collaborate with them on upcoming projects. 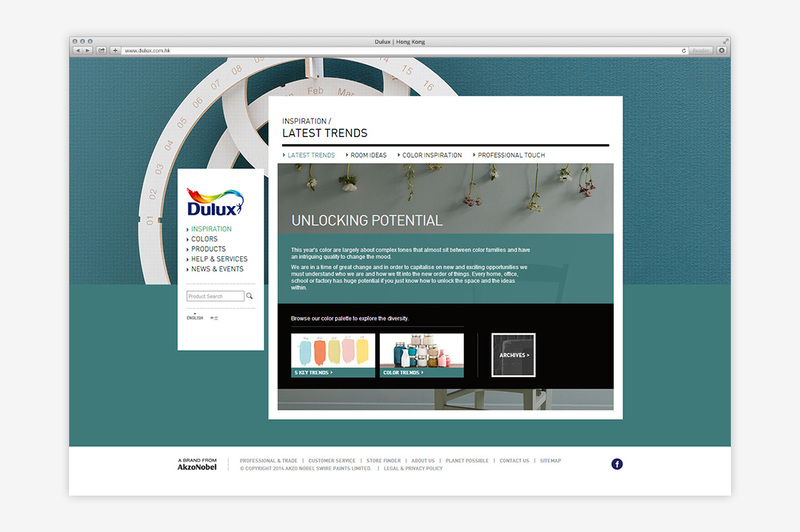 As one of the leading paint brands, Dulux's philosophy isn't just about making colours, but rather it is about unlocking the potential to create and transform. 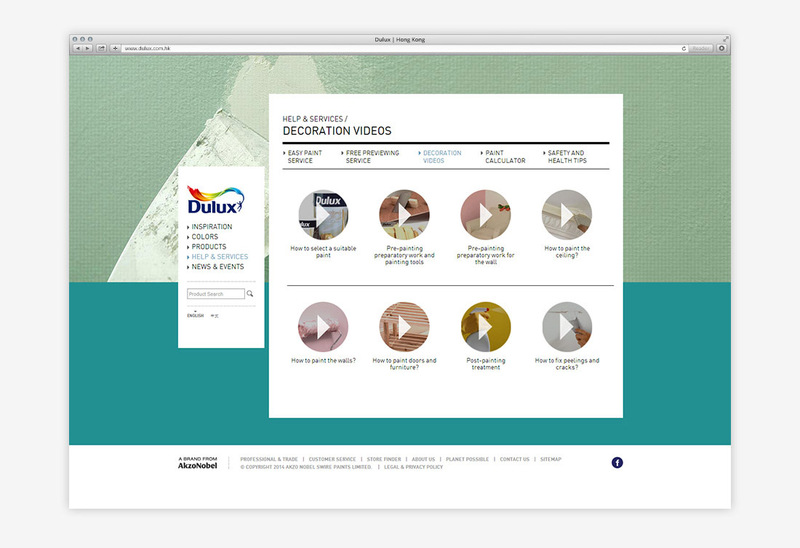 The scope of our relationship is diverse. 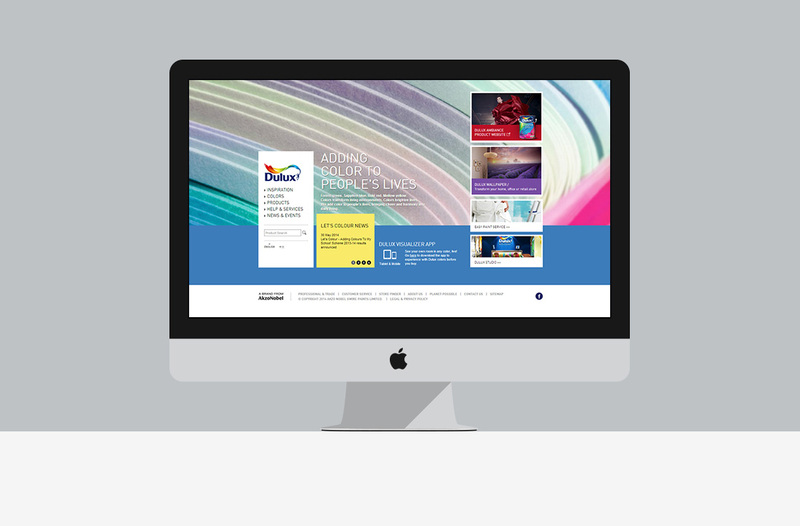 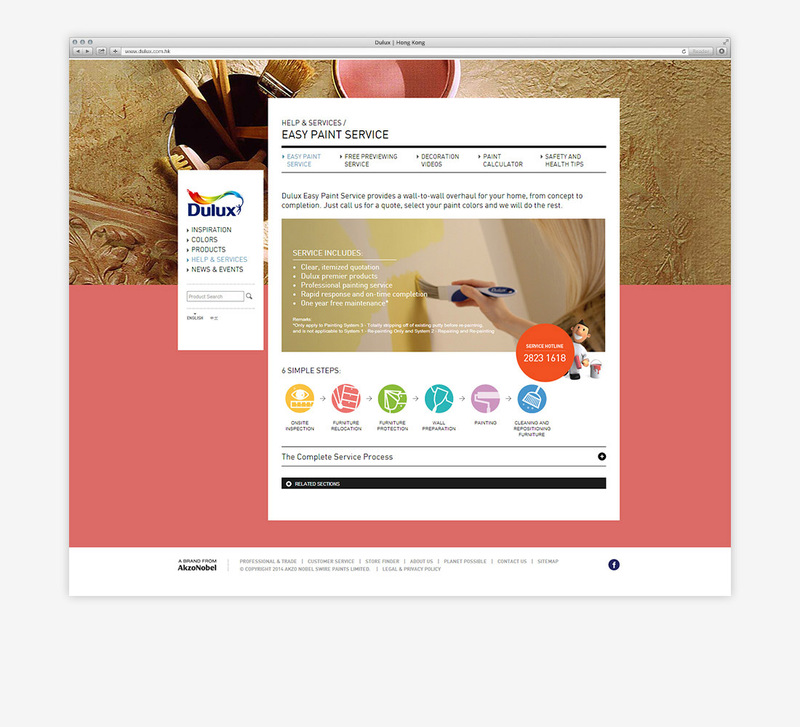 We have worked on designing and developing their colourful corporate website to remain consistent with their creative brand image, and developed their information architecture (IA) for a more user-friendly navigation. 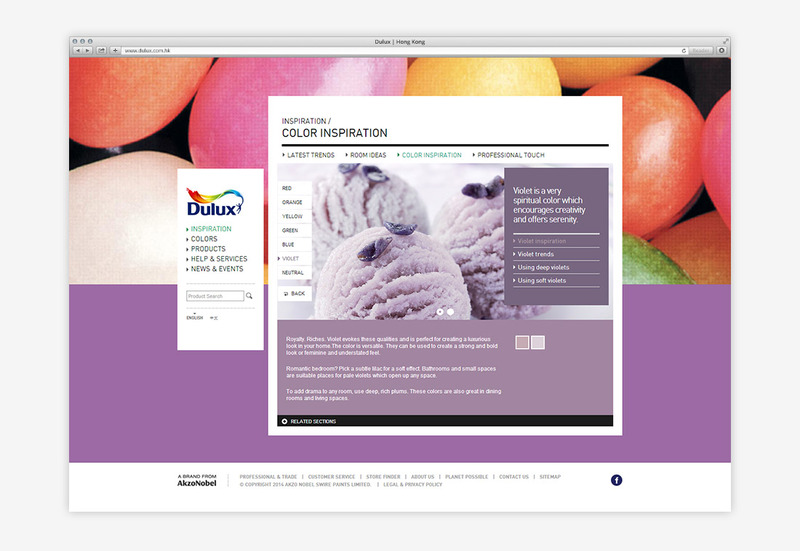 Besides their main website, we have done more creative projects including the production of online campaigns and promotions, creating social media campaigns, and designing graphics for material printing and production, which altogether encourages customer engagement and inspires them to be creative as well.